October 11th is National Food Truck Day and a great time to explore some of the food trucks in your area! The phrases “Food Truck”, “Mobile Food Vendor” or “Mobile Food Facility” refers to several different types of vehicles that food is sold from. Some examples include: lunch trucks, vending trucks, concession trucks, sandwich trucks, taco trucks, loncheras, catering vehicles, ice cream trucks, and hot dog carts. Mobile food trucks serve food to customers in city spaces, parks, stadiums, festivals, weddings and other public venues. 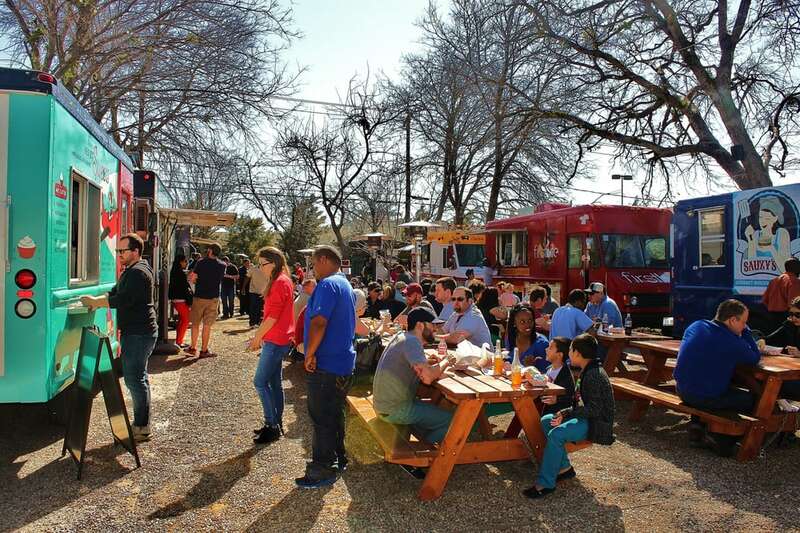 According to the National Restaurant Association, food trucks made up one of the fastest-growing sectors of the restaurant industry, with 2013 sales of nearly $700 million, or about 1 percent of total U.S. restaurant sales. A 2012 study by Emergent Research projected that food truck revenue would quadruple to $2.7 billion by 2017.